Last week we held a dinner in New York discussing the Quantified Self movement with marketers from a cross section of brands from the B2B world (Salesforce) to the highly regulated industries of finance and healthcare (JPMorganChase and Novartis) to major consumer goods companies (Mondelēz previously Kraft Foods). 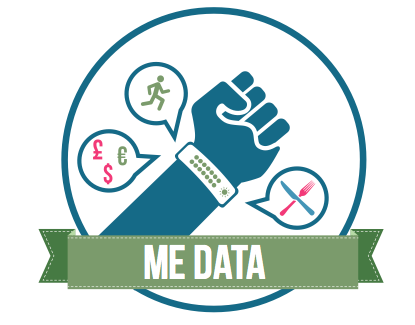 While the quantified self has been around for years, 2013 is the year it has finally entered the mainstream. What’s interesting now is the relative ease with which any brand can tap into the power of QS, or rather the desire of people to track all aspects of their daily lives and the ease with which people can now do this using the latest technology. Andrew Zarick, CEO Digital Dumbo cited research from Cisco’s The Internet of Things that stated by 2020, 50 billion ‘things’ will be connected to the internet. To put this in perspective if you activated a new ‘device’ every second, you would reach 50 billion in close to 1600 years. Every new device makes it easier for people to track almost any aspect of their life. So while there is no question QS is here to stay, why is it important to brands? Below are five reasons why illustrated using the poster child for the quantified self movement, Nike. If you consider Nike+ and particularly the community around it, it puts Nike top of mind for consumers, every time they are think about physical activity. The same is true of an expense tracking app like Chase’s Jot. It puts Chase at the forefront of customers minds every time they submit an expense for their business but more importantly enables the small business owner to better manage expenses. These are some examples of brands embracing QS to such a level that it goes beyond marketing or beyond becoming an enhancement to a product to a revenue stream in its own right. Nike+ has always charged for the product so the revenue was baked into the concept from the onset. However a company like Progressive is giving consumers a black box in order to track their driving habits as a way to decrease insurance premiums. It won’t be long before Progressive uses the same data to put up premiums or sell the data to generate a revenue source. A brand that’s engaging consumers through QS products and services is at the same time getting a huge amount of individual consumer data, we call it Me Data. All that Me Data aggregates to create Big Data, which can then provide insights into consumer behaviors down to a level never previously possible to help improve products and services. Nike recently launched an accelerator to invest in 10 start-ups who were going to build a service on top of the Nike+ platform. One of those is Sprout at Work which uses Nike+ at the heart of an employee wellness program building in incentives and rewards for healthy living. On top of that, it will use the aggregated employee data to then work with health insurance companies to provide more affordable healthcare programs to employees. Our research, which analyzed online QS conversations, shows that the single biggest motivation for consumers in using QS type products was to effect a behavior change. Jared Cocken, Chief Product Officer from Fitocracy talked about how when combined with game mechanics self tracking becomes even more effective. It’s easy to imagine how a company like Glaceau, could create a Yoga app for Nike+ which could then remind you to drink more SmartWater based on your regime. While the early examples of brands benefitting from the QS movement are primarily in the wellness/fitness, productivity spaces (eg Evernote) and finance (eg Mint), there is a wider opportunity for other companies to use the self tracking movement to enhance their brand and turn marketing from a promotional discipline into a service that makes that brand an essential element of people’s daily lives.